This is my little Bluebell. 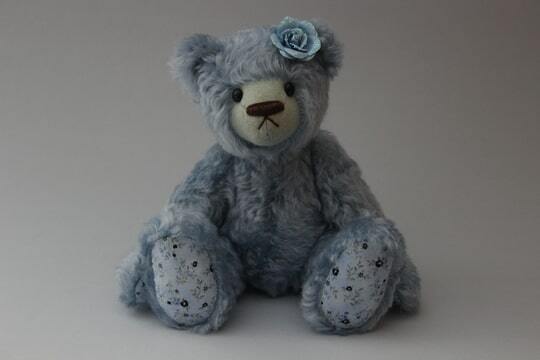 Bluebell is 25 centimeter tall and made of a beautiful blue, light curly, Steiff Schulte mohair. Here hands and feet are made of a blue quiltfabric with flowerdesign. 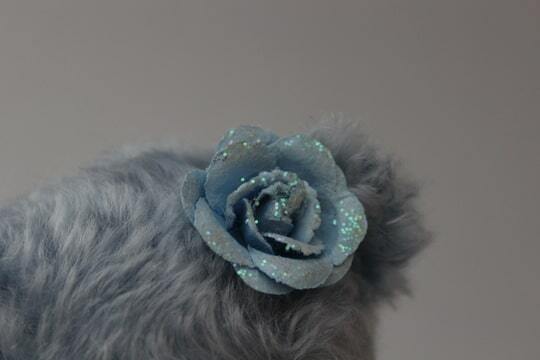 Bluebell has a dark brown stitched nose and big german glass eyes, in her hair she has a big light blue rose with glitters on it that matches perfect with the mohair. She is five way jointed and filled with synthetic fabric and little steel pellets for having a little bit of weight. Bluebell is a one of a kind Mirabeer and is made by hand. She is searching for a new loving home, so if you have interest in adopting Bluebell you can send me a e-mail. 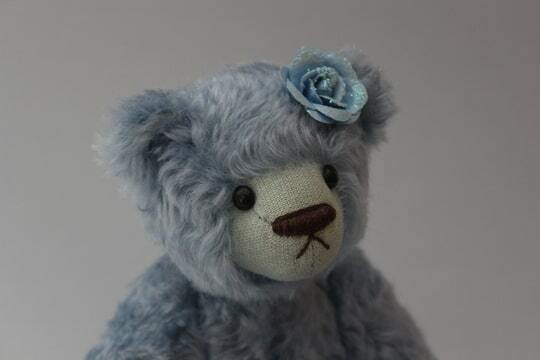 Adoption Fee 56 Euro (excl shipping cost) Bluebell is also available on Artist Bears International!! !